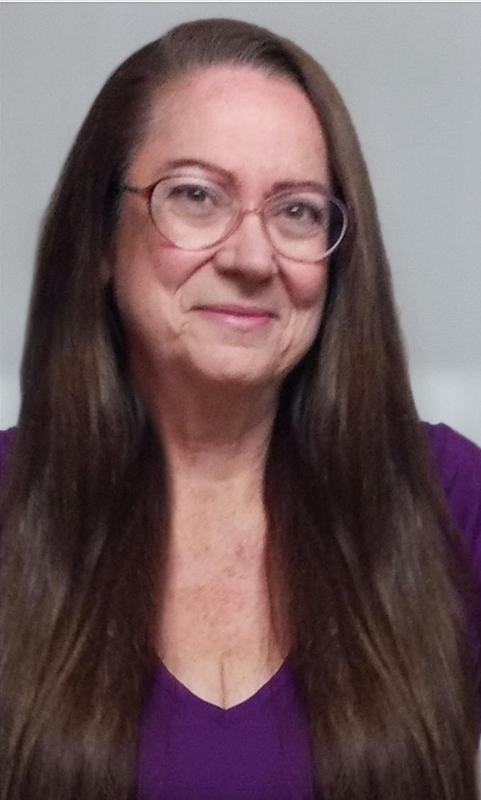 I've been checking on the Clerk of the Court site daily for the four "mystery motions" which were out in the news the Monday Judge Strickland stepped down. They are not currently posted as submitted to the court as of the present time. If they are posted prior to the hearing tomorrow, I will add them to the list below as there may have been some minor changes made (such as corrected dates and signatures). To read the last two, go to the original ARTICLE. The content of Judge Belvin Perry's first hearing in the Casey Anthony murder trial is rather mundane. The judge will listen as the defense team presents a list of motions which have yet to be heard. The team of Jose Baez and Cheney Mason, or should I say Cheney Mason and Jose Baez, will need to tell the judge which motions need to be argued before the court and which the judge can rule on without being heard. If Andrea Lyon is present, she will have to cut short her arguments in front of this judge. As of the present time, there are no motions pending from the State. The hearing will be televised on InSession and streamed by the usual stations on Friday, April 30 at 9:30 A.M. Usually, InSession will spend the first half hour previewing the hearing and is usually very helpful if you get TruTV. The viewing audience will mainly be glued to the attorneys' behavior in court to watch how they react to Perry's tightened-up rules of discipline which he included in the Order Setting Case Management Hearing. 12. Counsel shall admonish all persons at the counsel table who make gestures, facial expressions, audible comments, or the like, as manifestations of approval or disapproval during the testimony of a witness, or at any other time. This behavior is strictly prohibited. This rule is going to put a lot of stress on Jose Baez especially. As the rookie of the counsel table, he has done his share of smirking and making inappropriate comments in front of Judge Strickland. Cheney Mason will probably adapt a bit more easily, having appeared before a wide variety of judges in the Ninth Circuit. 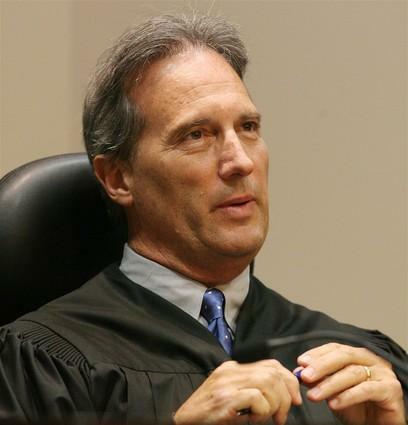 Jeff Ashton has argued death penalty cases before Judge Perry before, and I'm sure he also knows how to behave. 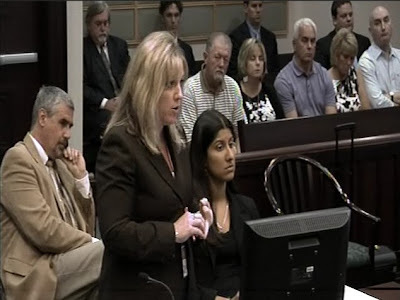 As for Linda Drane Burdick, well, she is always the epitome of decorum in the courtroom! 15. No tobacco use in any form is permitted. No bottles, beverage containers, paper cups or edibles are allowed in the courtroom, except as permitted by the Court. No gum chewing is permitted. If you haven't already done so, read all the rules that are included at the end of the order that was linked above. There are a lot of changes in courtroom decorum that will take place Friday! Next, we have the actual objective of the order, which is to discuss pending motions. I am old-fashioned and need to see motions on paper to properly read and annotate. As the motions are heard, I take notes on their disposition and clip them to a copy of the T&T post about the hearing. The pending motions remain in my active file and I can search out which ones will be heard at the next hearing. For this hearing, I've gone through my "pending motion file" and put them in the order of their filing date. I've gone through my file of motions and the list from the Clerk of the Court. I've also provided as many links as possible. This motion was never specifically ruled on and may be moot at this point as recent document dumps reveal information requested. RENEWED MOTION TO COMPEL BENCH NOTES, STANDARDS, DATA, AND COMMUNICATIONS WITH LAW ENFORCEMENT ET AL. Some of the links to individual motions here are broken. WFTV posted all the motions as one document and is still working. To read these motions, link HERE. MOTION TO DECLARE FLORIDA STATUE 921.141(5)(L) UNCONSTITUTIONAL AND TO PRECLUDE ITS USE AT BAR. MOTION FOR JURY INSTRUCTIONS CORRECTLY DEFINING "PREMEDITATION"
Thank you, Andrea Lyon and students for that batch. I'm hoping the judge decides that he can rule on these without argument in court! This motion was filed by Martin G. White, attorney for Jesse Grund. It hasn't come up in any of the hearings and could possibly be moot. MOTION IN LIMINE TO EXCLUDE IRRELEVANT EVIDENCE OF "PARTY PICTURES"
The hearing will also discuss the time lines for evidence, depositions, etc. The latest document on this was issued by Judge Strickland on March 5, 2010. AMENDED PROPOSED ORDER SETTING DISCOVERY, MOTION and HEARING DEADLINES and TRIAL DATE. I notice it's still a "proposed" order and it will be interesting to hear what Judge Perry has to say! You will all probably notice that the last four "motions" recently publicized have not been included. THEY'VE NEVER BEEN FILED! I hope you all enjoy the hearing on Friday! Chief Judge Belvin Perry, Jr. It's been slightly over a week since the defense filed a motion for the recusal of Judge Stan Strickland. Since then, Strickland recused himself, Judge Belvin Perry Jr. took on the case and issued a sua sponte Order Setting Case Management Hearing for Friday, April 30 at 9:30 AM. The motions which CFNews13 published Monday have yet to be filed with the court in completed condition. Unlike Casey Anthony, who repeatedly spoke of her "gut feelings" that Caylee Marie Anthony was alive, I seldom tell the world my "gut feelings" because I am likely to be wrong. I simply don't trust myself as I don't know all the facts. It's one thing to read a motion or watch a hearing and write about the facts and toss in a bit of opinion for the sake of argument. It's another thing to opine about things for which I have no direct knowledge. Aside from a few comments about Judge Perry's order, whatever I write today is just my "gut instinct", right or wrong. It is obvious from the judge's order, he is planning on getting the case on track and moving ahead. -Discovery deadlines, including but not limited to, the scheduling and completion of depositions of all ordinary and expert witnesses. 2. Counsel shall provide the Court with a list of pending Motions, identifying with specificity those which will require evidentiary hearings and those which may be addressed based on the pleadings. 3. Counsel shall provide courtesy copies of all future Motions to the Court. It seems there will be no more "motions by ambush" by the defense when they file them at the end of the day on a Friday or just prior to a motions hearing. 4. Counsel shall familiarize themselves with the Ninth Judicial Circuit Courtroom Decorum Policy set forth in Administrative Order Number 2003-07, a cop of which is attached to the Order, and shall, at all times, conduct themselves accordance with that policy. The Administrative Order is indeed at the end of the order and it will behoove all parties in the case (including those who come to watch the hearing) to tow the line of traditional courtroom behavior. If the hearing is televised, it will be fascinating to watch. I am hoping Judge Perry gives a nod to the cameras in the courtroom for all of us who are watching and waiting for the final justice for Caylee. Many of us have already devoted almost two years to the case and it would be a disappointment to have to rely on second-hand information from reports on InSession and from bloggers. We all want to "be there". Later during next week, I will go through all the pending motions and compile a list with links. I always print out the motions to read and analyze, and I'm hoping my list is fairly complete. It will be interesting to see if I've missed any! Now, I'm heading off to "gut instinct" land. On the same day Strickland stepped down, the defense filed more motions, some regarding the death penalty. Below the article, the motions are listed. When they were first posted, they were signed only by Andrea Lyon. There were no dates, certification of service, nor the stamp of the Clerk of the Court. At the time, I assumed there was a glitch in the defense plan to file them. 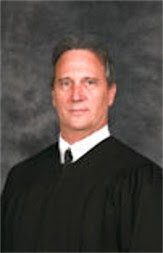 The motions had Judge Strickland's name on them and there were mistakes in the dates of the facts of the case with the year 2009 instead of 2008. I have to admit that I have barely scanned the motions since they are not yet official, but I can say that they are more of the same motions Lyon has been filing in the case. Some of them are still pending! When I went back to cite the article today and post the links, I found that they are still in the same condition they were at the beginning of the week! So, they are still not filed! Mind you, the following is my "gut instinct" and in no way based on fact or personal knowledge! I believe that, when the defense filed their first motion to recuse Strickland on Friday, April 16, 2008, at 4:48 P.M., they never expected Strickland to recuse himself Monday morning. I also think that the motions were "leaked" to CFNews 13 as a quid pro quo for the ambush interview with Marinade Dave prior to the filing. The defense planned to file the motions with Strickland on Monday, April 19 and had given CFNews 13 to publish them at the end of the day, and there they remain. On Monday, when Perry took over the case, the defense could not file them, and they probably read the blogs with pointed out the date errors. I gave the defense till the end of the week to properly file the motions before writing about them. Since they haven't been filed yet, I am wondering if the defense thought that Judge Strickland would not recuse himself immediately or even recuse himself at all! Why else would they have his name on those motions? Somebody called me "nuts" on the comments on another blog when I put out a possibility that the defense was hoping for Strickland to stay and rule on these motions prior to recusing himself. Then, they would have had more ammunition for appellate claims that the judge was biased. Please comment on what you think, just be kind! By the way, I just read that Cheney Mason and Jose finally went to look at the TES documents. On Friday, for the first time in eight months, the attorneys visited Nejame's office and were caught on video inside a conference room looking through boxes of documents. Although the attorney representing Texas EquuSearch said none of the 4,000 volunteers searched the exact spot where Caylee's remains were found, Anthony's defense team wanted to see for themselves. Shortly after Local 6 arrived at Nejame's office, Anthony's attorneys stormed off. Baez and Mason would not explain why they were finally viewing the records, and it's not known if the attorneys would be returning to Nejame's office. Nejame refused to comment. My guess that the next defense motion will be to be able to copy all the documents for any number of reasons. Got a nickle you want to bet? I was saddened to hear that Judge Stan Strickland has recused himself from the murder trial of Casey Anthony. He has always been very fair and impartial. However, it is obvious that he had to do so. In Florida, the defense has one shot to accuse the judge of misconduct or bias where the judge has to rule as if the accusations were true. Strickland, in his order, gave us the rare opportunity to know what he was thinking as he presided over all those hearings. An innocent is dead and the life of an accused citizen hangs in the balance. The Court cannot conceive of any words with greater gravitational force or consequence. The Court's foundational belief in our judicial process, and the commitment to its purpose are unwavering. By the second paragraph, we begin to see signs of his frustration with the defense team. The issue before the Court presently is the Defendant's Motion to Disqualify the undersigned filed (courageously!) at 4:48 p.m. on Friday afternoon April 16th, 2019 (1) No courtesy copy or fax was provided to the Court. Obviously, defense counsel's intent was to maximize exposure, and minimize or delay any response. (1) An amended motion was filed Monday morning, April 19th, following alert defense counsel's discovery that his first motion was a nullity since had used a notary stamp from a prior decade. The judge continues in this vein as he described how he had been led to the blogosphere to research issues contained in the defense's motion for change of venue. Having dispatched with the whole Marinade Dave situation, the judge next vented about his experiences with motion filed by the defense and the media juggernaut they have conducted. (2) It is the Court's most fervent hope that this promise was truthful, given the nature of our current budget. On the other hand, the Court fears that this statement may have merely been the product of an active imagination and tight boots. While amusing to read, it is obvious Judge Strickland was not overly impressed by the antics of Casey's latest "boy", J. Cheney Mason! I've talked with my friends about what the tight boots might mean and we have differing opinions. I'm sure Mr. Mason understands exactly what the judge meant. Having dealt with the nature of the motion and the nature of the defense in this case, the judge then had some very wise words to say. If past is prologue, some defense motions may be denied. Since the undersigned has now been accused of bias and wrongdoing, potentially each denial of a defense motion will generate renewed allegations of bias. The cumulative effect will be to elevate an otherwise meaningless situation into a genuine appellate issue. Judge Strickland is a man of class. He had done what was necessary to ensure Casey Anthony will have no appellate issues should she be convicted. 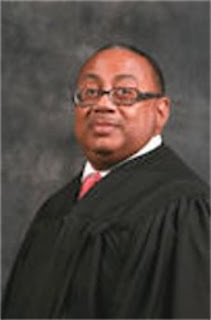 I've started looking at Chief Judge Belvin Perry, Jr. who will take over on the case. So far I hear nothing but good about him. He is a tough judge who runs a tight courtroom. I have also heard he is not fond of cameras in the courtroom. Let us hope he will continue to allow the hearings and eventually the trial to be televised. Please let the sun continue to shine on events in this case. So many have become devoted to the cause of justice for Caylee Marie Anthony, who was taken from her life far to soon in a terrible way, most likely by the person who gave birth to her. I usually enjoy reading motions and picking them apart. The latest one, impressively titled DEFENDANT, CASEY MARIE ANTHONY'S MOTION TO DISQUALIFY TRIAL JUDGE, has knocked me for a loop. It has to be one of the craziest motions I have ever read. Why do I think that? Well, for one thing, I have watched every hearing for the case and reported back here at T&T since August 12, 2008. I have watched Judge Stan Strickland work through so many motions with the patience of Job. He has tried to steer Jose Baez through the process at the same time. As far as I can tell, as a layman, the judge has been more than generous with the defense. He has ruled to the letter of the law and when a motion hasn't met it, he has often advised Baez on how to get what he wants in an appropriate manner. Now, the defense doesn't want him on the case and has come up with some interesting reasons. From what I've read across the Internet since this motion saw light of day at the close of court, the defense must file such a motion within 10 days of becoming aware of the situation. The main reason given in this motion has to do with a fellow-blogger, Marinade Dave. The precipitating grounds for disqualification is the revelation that the judge has apparently developed a personal relationship with journalist/blogger known fictitiously as "Marinade Dave", who has historically presented numerous stories of severe bias and prejudice against the defendant. This so-called "relationship" consists of a brief chat at the bench at the end of a hearing and a phone call to wish him well after a medical procedure. Apparently, the judge had seen the blog and declared it one of the most balanced. I read over at Dave's and find him to be quite balanced. He's been one who tells people not to be so judgmental and shows a great deal of compassion for the Anthony family. In terms of his blog, the terms "severe" and "prejudice" against Ms. Anthony are laughable. They even include three examples for the judge to consider. It's too bad the motion only includes them at the end and fails to discuss the content of the articles, only the titles. Had they read them, they would know that "Casey Anthony must die!" compares many people in the Internet world who are full of blood-lust, much as the Romans at the Colosseum calling for the blood of the Christians. That chat at the bench occurred last October. Isn't that more than 10 days ago? Oh! It was less than 10 days ago that Dave agreed to be interviewed by defense investigator Jeremiah Lyons. The phone call to Dave occurred in February, more than 10 days ago. All right, somebody must have tipped the defense off that Dave had received the call. What does this prove? Well, I read all sorts of blogs while following the case. I read the Casey-lovers blogs, I read the Casey-hater blogs, I read a few message boards as well. I'm intelligent enough to figure out which is which and I'm certainly intelligent enough to know the biases of each-and-every one of them. Just because I read them, my personal perception of the case is not changed. I want to know all the information that is "out there" and where various people and groups stand on the case. ...By January of 2009, eleven out of Marinade Dave's fifteen posts during the month were about Miss Anthony's case. See Dave Knechel, "entries from January, 2009", Marinade Dave's Mindblogging, "Available at http://marinadedave.worldpress.com/2009/01/"
That sends Strickland back to the blog! There are also accusations in the Memorandum which were not mentioned in the motion proper. One cites the comment Strickland made at the bond hearing on July 22, 2008. "...the truth and Miss Anthony are strangers. What is omitted from this quote is the key information, the beginning of the quote. At that point in time, Strickland had to set her bond. He indicated that his decision had been based on the fact that Casey had provided no truthful information to LE to help find her missing child. There was the trip to Sawgrass Apartments and Universal studios. Casey herself, in the interview she did with Detectives Allen and Melich, admitted that she had lied about everything, well, according to her, ALMOST everything. In my opinion, the judge was just stating what the defendant herself had told LE. The Memorandum also mentions Strickland's complaint to the bar about Baez and that he was completely cleared of the charges. As I recall, the decision was that there wasn't enough evidence to prove the allegations. If what is alleged in the memorandum is true, I have to wonder why Baez didn't file a motion in July, 2008, after the bond hearing. If what is alleged in the memorandum is true, I have to wonder why Baez didn't file a motion within 10 days of hearing the judge make the statement about waiting until re-election to hold the trial. According to the accusation, both the defense attorneys and the State's attorney's heard it and, as officers of the court, they would have had to testify truthfully to what they heard. If any lawyer is out there reading this, please tell me: Does the judge have to consider these two allegations which are NOT in the actual motion? Judge Strickland now has 30 days to make the decision to stay or withdraw from the case. If he leaves, the defense will have a new judge. If he stays, they can cite every decision he makes from now through the trial as a reason for appeal. He's really stuck between a rock and a hard place. Regardless of his decision, I believe the main issue here is not the judge's impartiality, but the reason for the motion. Does the defense really want Strickland off the case? Two local attorneys who have provided legal opinions to the media have stated that it is a bad move by the defense. WFTV cites legal analyst Bill Sheaffer agrees, saying the motion is a mistake because Knechel is not directly involved in the case. Sheaffer said the defense could not ask for a more impartial, patient or fair judge. The article went on to cite legal analyst Richard Hornsby. There is little doubt that one day the defense will look back on the motion (as) the worst move they've made," Hornsby said. "Judge Strickland has previously shown a fairness to Casey in the way he sentenced her in the check case, and now they don't know who their judge will be. Hornsby said the No. 1 rule in criminal defense is to know the judge presiding over the trial. Why change judges this late in the case? I've been wracking my brain for a good reason and have come up with a couple. 1. With J. Cheney Mason now on the team as "for all intents and purposes", lead attorney, he wants a do-over on motions that have been filed and denied by Strickland. 2. Mason wants Strickland to stay on the case, but hold the decision over his head in the hopes of better rulings in the future. If you have any ideas, I would like to hear them. Please, though, no bashing! This has been quite a day in court. Tempers flared, complaints were made. It was a showdown. Blogger ate my article! Towards the end of the hearing, in his rebuttal to Mark NeJames, Baez placed all blame of defending the case on the documents. He wants them, and he wants them all. They are critical to the case. "They" are trying to kill Casey Anthony and "we" are trying to save her life! Judge Strickland pointed out that this hearing is not before a jury, but there are a lot of people on TV watching! This was a very long hearing and, according to Mark Eiglarsh on InSession, it could have been wrapped up in five minutes. Apparently, Baez had contacted Joseph Jordan's attorney who said he would bring in his client as a witness. Jordan never appeared. Jose Baez opened the hearing by stating that he had two arguments for the Subpoena Duces Tecum he had filed. First, the documents in question were subject to duces tecum. He then asserted that Texas Equusearch was conducting business in Florida and even opened an Orlando chapter, and was clearly an agent of the state. Finally, the documents are in Florida.The defense had discovered 4 additional searchers that had not been provided by TES. They were Laura Buchanan, Joseph Jordan, Danny Iberson, and an unknown K-9 officer from Panama City (referring to Cpl. Edwards interview with Jordan). Baez went on to say that there were many photographs and videos taken at that site and others which showed searchers. After a very long pause so that everybody could view the pictures, Baez said that there was a great deal of materiality in the pictures and finding the names of the people in them. As an example, he showed Judge Strickland one with Danny Ibison with his dog taken with Detectives Melich and Allen. When asked by the judge how he knew they were all TES people, Baez pointed to the caption in the picture that said so. It just takes one person to believe that those, that the remains of Caylee Marie Anthony, were placed there after Casey Anthony was locked up in jail, to reach a reasonable doubt, which of course would, require Ms. Anthony's acquittal. Alas, if there were true, the defense would have a slam-dunk case! Baez then got into the meat of his argument. He brought out TES form #08895 and pointed out that the signature at the bottom was illegible and that the name of the team leader was cut off of the top left-hand side. There was a cure for that problem, just shoot an e-mail over to NeJame's office and ask for the name! He also said that he learned Joseph Jordan's name through Laura Buchanan who possessed forms that weren't in the package. It would seem that Ms. Buchannan must have contacted the defense since they didn't have her name. Jordan had searched the area along the stockade fence and found a baby blanket and cooler that Ibison was sent to check out. Baez pointed out those items were found in the area near where the remains were found. Unfortunately, the two didn't go into the woods due to water. Hello! If they didn't go into the wood where Caylee's remains were found due to water, why are we here today? Baez then dropped his personal "BOMBSHELL". Jordan had sent an e-mail to Allen and Melich just after the remains were found. It said he thought the body could have been placed there after they searched. The State didn't include it in disclosure! They didn't call Jordan in and interview him at the time. Baez started talking Brady (disclosure) violation and Linda Drane Burdick got up to object, since Brady violations are not part of the motion. Baez then moved on to complain that Tim Miller wasn't on the witness list. Mark NeJames objected that this issue isn't relevant to the motion. Judge Strickland reminded Baez that they were discussing the motion to modify the TES order. After a bit more irrelevancy concerning Tim Miller being on the witness list, Baez then stated that the court is allowing Mr. NeJames to say what is relevant to the defense. He allowed Brad Conway to view the documents! He allowed the media to view the documents! Baez then argued that when the original order was made, he NEVER thought he'd find other names. These documents are CRITICAL to the defense. Somehow, this ended up being an issue that Ms. Anthony was unable to face her accusers. Let me think, not having all 4000 names means they can't call them all and ask if they were at the site, and if they were, to be confronted in a court of law if they didn't find the remains? Baez then explained that it's possible that people who searched elsewhere may have talked to others who were there at TES meetings, or wherever. Again, Why isn't Miller on the witness list? Why are THEY going to Texas to meet with him? Why is he traveling back here to meet with detectives? I can answer that! You haven't done his deposition yet! Strickland interjected that the State doesn't ask him who to put on their witness list, that it's who they intend to call. Baez argued this yet again. I was waiting for him to get back to his own motion! Strickland reminded Baez that witness lists and discover aren't the same thing. He told Baez to continue. Baez went back over details, the map with the blanket and cooler. They were in the area, you know. Baez indicated there just may be other "bombshells" out there. Finally, it was Mark NeJames' turn to speak. He stuck to the topic, thankfully. He pointed out that he had agreed to present Tim Miller for deposition. The defense never bothered to schedule him for a deposition since August 27, 2009. He said he didn't understand how the defense could say he was unavailable. NeJame then went through the information he listed in his motion. He went through how he allowed Conway to review the information first out of respect for the Anthony family. He wasn't allowed to take pictures or write anything down. He tabbed the items to be released. He offered the same opportunity to Baez, who didn't show up, just sent a copying company to do the job for him against the court ruling. NeJames spoke up for the volunteers who did now want their information made available to subject them to threats, lawyers, bloggers, etc. And how they can jump to this ridiculous conclusion of these "bombshells" when they haven't even taken a moment, I mean, not even a 5 minute inquiry, to inspect the 4000 documents, if they're all that important, is beyond me. He also read from the defense motion that the defense had said that the court had placed a "burden" on them to go to NeJames' office to inspect the documents. He ranted on a bit more about this and the "burden" it was for the defense. He compared the 10 minute walk to his office to the time the defense had spent on TV interviews and drives to the TV stations. Suffice it to say that I have never seen Mr. NeJames so exercised! His voice kept getting louder and louder as he voiced his opinion of the defense team's efforts to identify important, crucial even, material for their cause. Finally, he shouted: COME BY TO MY OFFICE! AFTER COURT! as he looked towards the defense table. At that point, the judge commented and Mr. NeJames apologized to the court. Baez just smirked. Nejames then went back to the TES form signed by Joseph Jordan. NeJames pointed out that it was unclear if the copy provided to the court was one copied by his office or by Baez' office. He also pointed out that they could have seen the original at his office if there were a problem. He also noted that the form also included people who searched with Jordan and some had phone numbers. The defense could have contacted them. In essence, there were more than 32 names released to the defense. He also addressed the issue of Laura Buchanan. She searched Blanchard Park and her document wasn't part of the 32. TES could not know that she was at the other site. Nejames also pointed out that hers was an unsworn statement which he read for the record. NeJames cleaned up a few details we've already heard in his motion (including the details of Longo's notice to Baez that he hadn't seen the documents) and sat down after saying that this motion was in very, very bad faith and that the defense's problems with the documents were due to laziness or sloppiness by the defense team. In his rebuttal to NeJames, Jose Baez stated that the reason that they hadn't done the deposition with Tim Miller was that they didn't have all the information they needed until they had the proper documents on which to base a proper inquiry of him. He went on to complain that finding Mr. Jordan, finding Ms. Buchanan, finding the others, is very important information that is critical to their case. He repeated that the map he showed the judge of the blanket and cooler was taken very near the place where Caylee's body was found. He complained that the documents are in no particular order, one page doesn't relate to another. (Funny how Conway and Drane Burdick could do it.) He was outraged when he insisted that he and his people could not do a proper job if they went in with no pen (holds up a pen), no pad (holds up a pad of paper), and flag them for NeJames. NeJames objected to this since it was a re-argument of what was heard the first time. Baez stated that the 32 people whose documents were released were being called and warned that the defense would be calling them. NeJames objected that this was information not in evidence. Baez countered with... like Mr. Longo's statement? Baez then went on to claim that NeJames was injecting himself voluntarily into the case and holding news conferences.! Nejames objected that there was no relevancy. Baez sites a press release inviting reporters to his office where he stated there was standing water where the remains were found. Strickland pointed out that he was commenting on the evidence and NeJames spoke next. He explained his role as attorney to TES and was obviously not pleased with Baez's terms that he "injected" himself into the case. He said Baez' statements were "dismissive" and "incorrect". Strickland then pointed out that this was not in front of a jury and that he wasn't concerned although there were millions of people watching! Judge Strickland sure knows how to get to the heart of the matter. Baez got up and started pacing and talking again. Smack down from the judge was that he (and NeJames, probably) were just griping. As the judge calmed the tension level in the courtroom, Baez stated that the facts were clear. He believed that they are entitled to the information and that there was no privacy issue since Conway had inspected all the documents as well as the State. He pointed to information he was getting a year late (Joe Jordan's e-mail). He asked why anyone would have a problem with his uncovering "the truth"! Add on lack of cooperation! Everyone is out to get the defense (in my own words). ...they're trying to kill Ms. Anthony, and we're trying to save her life here, and we can't do it if, if we're handcuffed at every twist and turn we take! Baez suggested that the defense get all the documents UNDER SEAL. He could copy all the documents and get any clarification of documents by going to NeJames' office. Baez stated that the defense hadn't leaked any sensitive information in the case. (As in the photos of the remains). The defense has a good track record on this. NeJames quickly replied that the judge had already done the balancing act on the issue and that they had not seen any new case law cited in the motion. He indicated that the release of information does and could cause harassment of people who were nowhere near where Caylee was. He essentially said the judge had already ruled on the system that would work the best. The door had been open for many months and was still open. He also added that he wouldn't want the state to pay the financial portion of his motion. With this information, the discussion of the motion ended. There was other discussion involving a motion Jose Baez had filed to unseal the Joseph Jordan audio tape which was acquired illegally. The judge had not read it yet, although there was some discussion about it. Linda Drane Burdick indicated that if the judge ordered it unsealed, it would force the States' Attorneys to commit a 3rd degree felony. Cheney Mason mentioned something about a decision that it would not be so. Drane Burdick responded that if there was such a ruling, she would like to see it. Nothing was decided about the issue in court today, I'll spare you the details until we see the motion and hear the arguments. Having now reviewed all of the exhibits submitted, this Court sees no reason to modify its original Order of August 27th, 2009. the files are still available for review at the office of Mr. NeJames, and, if flagged for review and no agreement can be reached, this Court remains able to schedule an in camera review followed by a ruling.